Making profitable investment in the U.S. Equity Market consistently is a challenge to any retail investors. Volatile markets are when investors often succumb to loss aversion. They get frightened and start to question their investment strategies. Starting their investment journey with a fear of losing money. 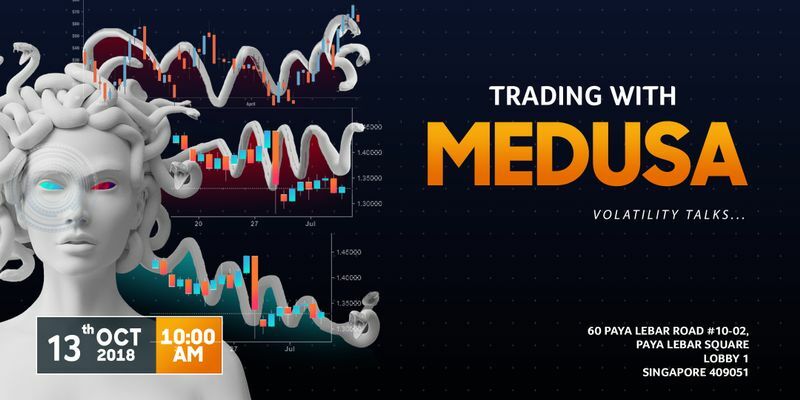 Trading with Medusa gives guidance on what and how traders should drive their investment approach during market uncertainty. According to Wikipedia, Medusa was described as a winged human female with living venomous snakes in place of hair. Gazers upon her face would turn to stone. Volatility in the market resembles the snakes that grow as an extension of Medusa’s beautiful hair. Men and women alike are always curious of the sight of Medusa’s fair face, and a mere sight of her would turn the onlookers to stones. Introducing Trident, our intelligent robot-trader who thrives in the U.S. market. It is the smartest, most consistent Robo Investing solution in the US equity market with the ability to find opportunities through market’s fear and greed. Trident is designed to listen to your investing mandate and take away your investing workload by crunching tons of data in seconds and outperforming the market through systematic investing and statistical data, giving it an advantageous edge over most human traders as you navigate through market volatility to spot the most profitable opportunity.